An anonymous Dutchman 'reading with his pen'. 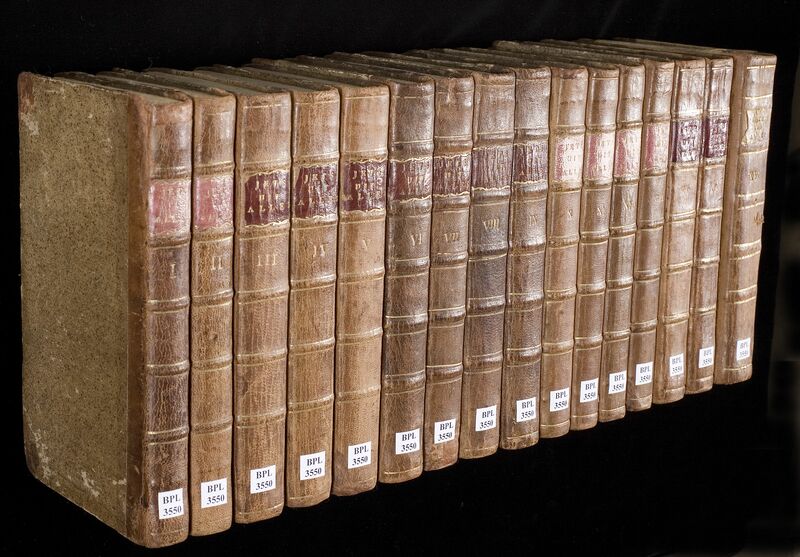 The result: sixteen volumes with a total of more than 4,300 pages, written in a tiny but legible hand. For about thirty years, from 1790 to 1820, an anonymous Dutchman with a lot of spare time collected an enormous amount of excerpts, quotations and anecdotes, under the terse title ‘Iets uit alles’ (Something from Everything). The texts, dealing with history, ethnography, natural history, culture and current affairs, are taken from printed literature; often the source is mentioned. Here, we encounter someone ‘reading with his pen’. Sixteen volumes with a total of more than 4,300 pages are written in a tiny but legible hand. Each volume (except the last) ends with an extensive alphabetical subject index, as a random example from the index of volume one (first entries sub B) shows. The texts are, admittely, not original, not ‘invented’ by this industrious scribe. But anyone interested in reception research, in the history of reading and the diffusion of knowledge in the Netherlands about 1800, may dig up ‘something’ of value from this recent Leiden acquisition (kept under shelfmark BPL 3550). The source credits make it possible to reconstruct which literature this anonymous Dutchman (depicted on the frontispiece of vol. 1?) has taken to his desk and how he selected and shaped his excerpts.